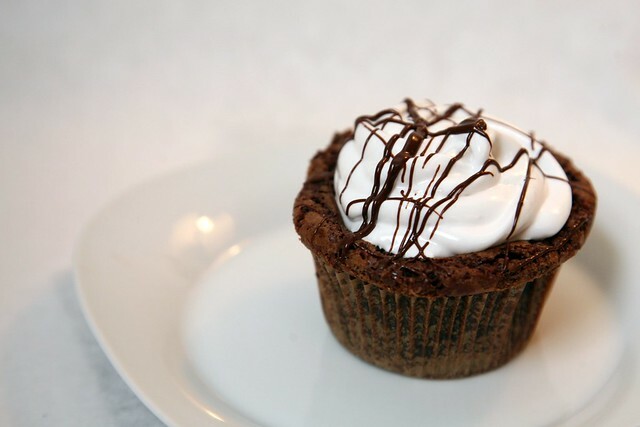 I made these brownie cupcakes a la Tartine with a marshmallow topping (a recipe from Sugar Baby) drizzled with milk chocolate for Jacob's birthday party at school. (Cole gives pitching lessons to Jacob.) 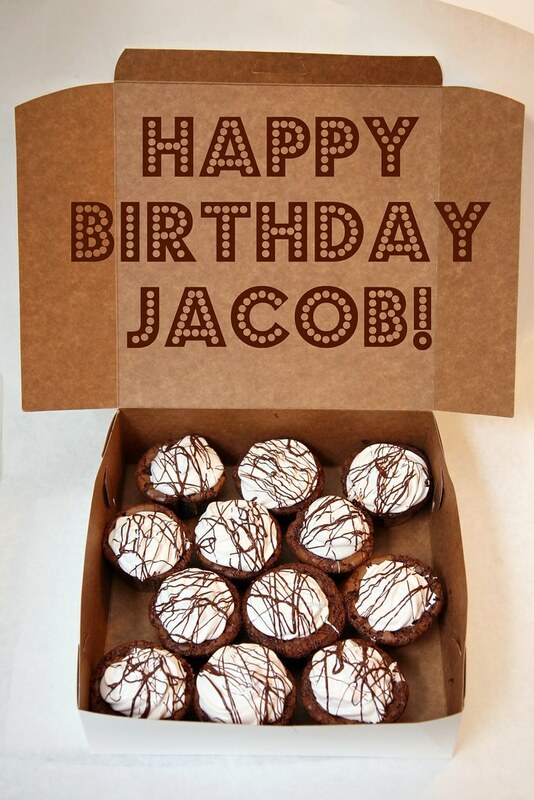 As I know from last time, Jacob's not a frosting fan, but he looooves chocolate. 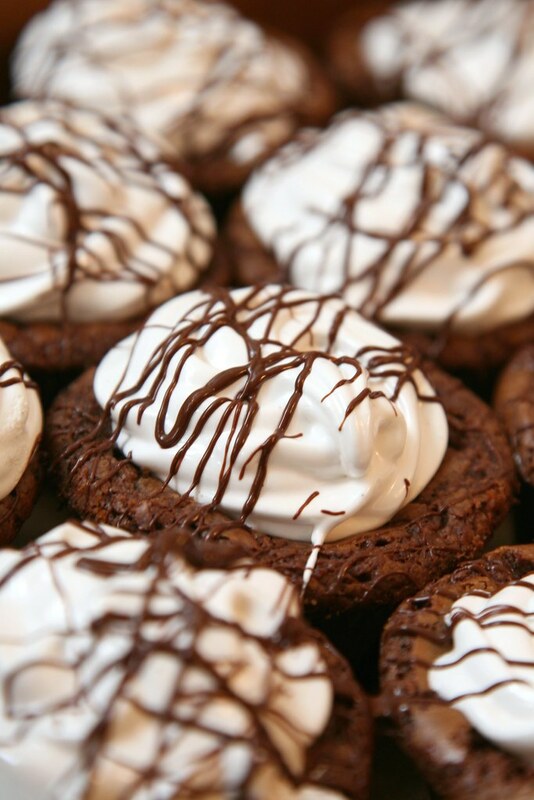 I thought the drizzle of chocolate was a fun way to decorate them. Hope your b-day was equally awesome!